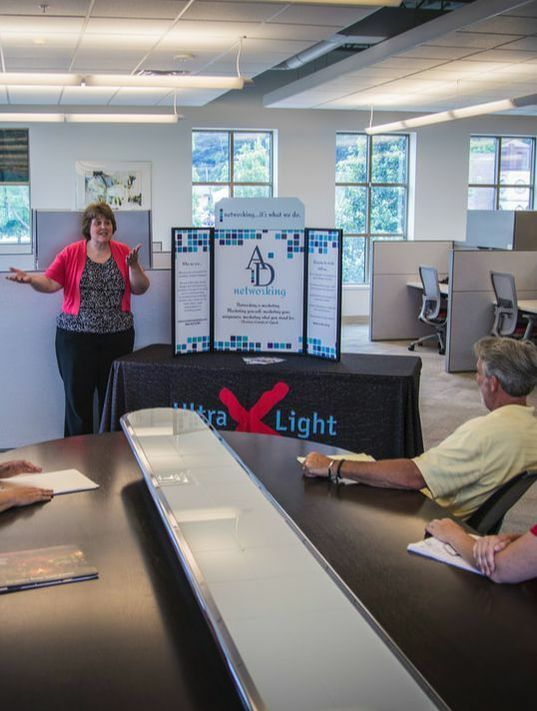 What is the Ultralight X? 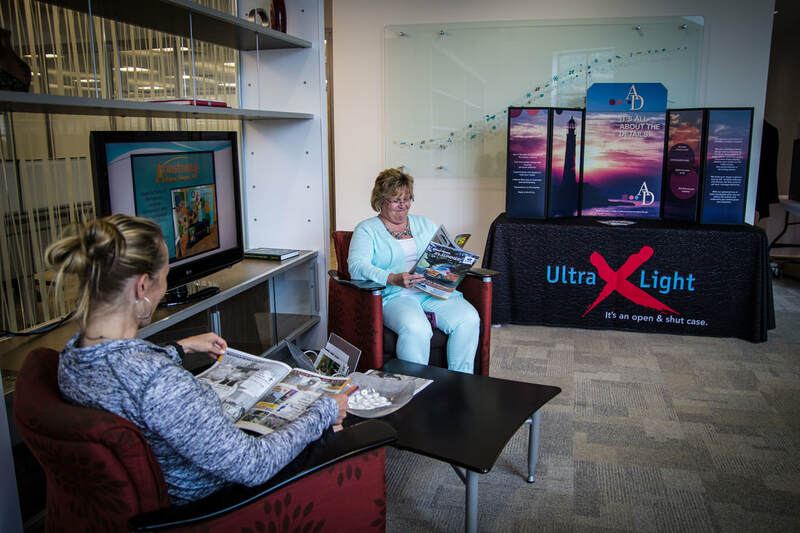 The Nation's leading lightweight and self-contained table top display series. 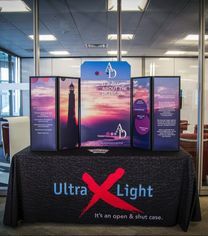 After years of working in the exhibits and display industry, we were never able to find a truly portable table top display that was up to our standards for quality and durability. So we developed the Ultralight X: the best self-contained, durable, lightweight display on the market. Its remarkable design offers plenty of display real estate, yet easily folds to a slim portfolio-style case. 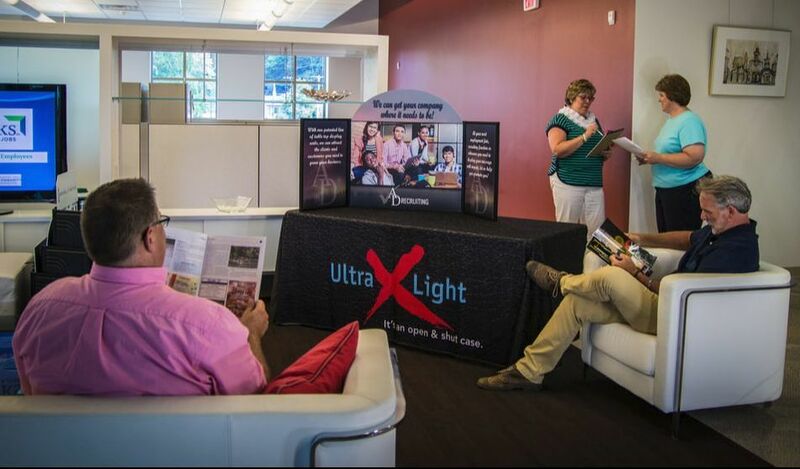 Whether you’re looking for a budget-friendly permanent display, a mobile sales presentation unit or a complete branded identity solution, our road-tested Ultralight X line can meet your needs. 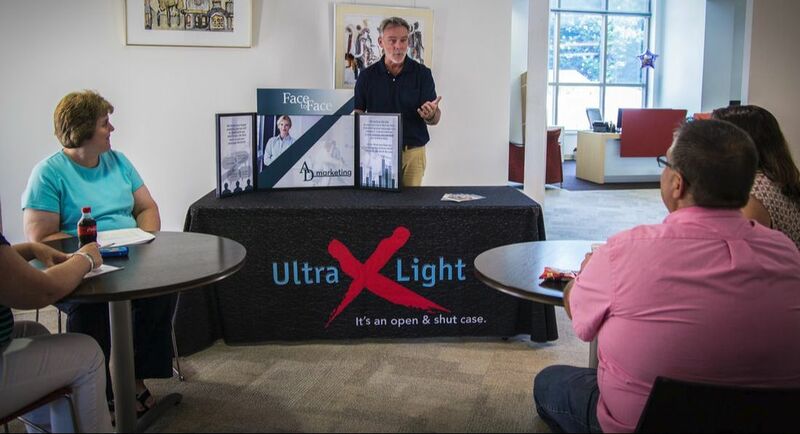 ​The perfect choice for college recruiting events, job fairs, sales or marketing functions, one-on-one presentations, group presentations, and regional trade shows, this patented ultralight table top series makes it easy to carry your message everywhere. Our versatile displays weigh between 5 and 10 pounds. That’s about half the weight of an average laptop computer or well-stuffed handbag. 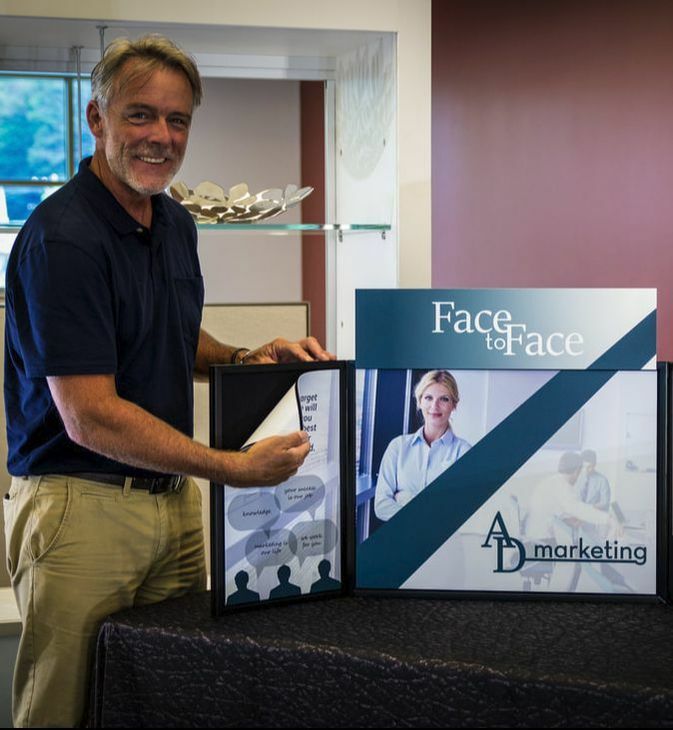 With our total identity and branding package, you get consistency throughout—including custom color matching, which means plenty of opportunities for logo and benefit messages. Easily changed out graphics can be stored in the display case and packed away for easy storage. TRANSPORTABLE AND POLISHED SHOW AFTER SHOW.